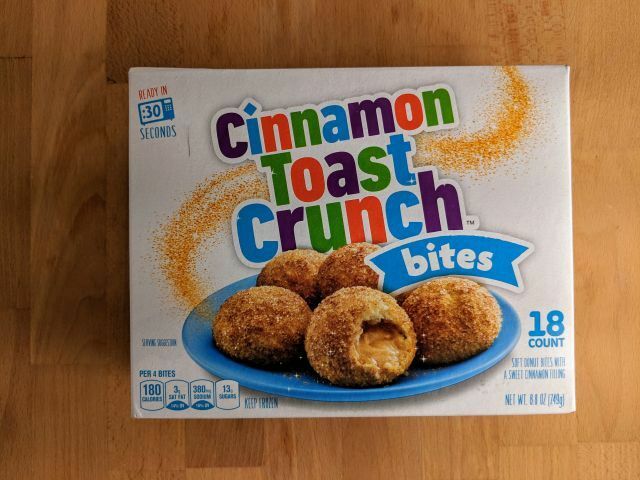 General Mills' Cinnamon Toast Crunch Bites are described on the box as "soft donut bites with a sweet cinnamon filling." An 8.8-oz box cost me $3.49 on sale. These are really convenient to make as you can just pop them in the microwave for 30 seconds. 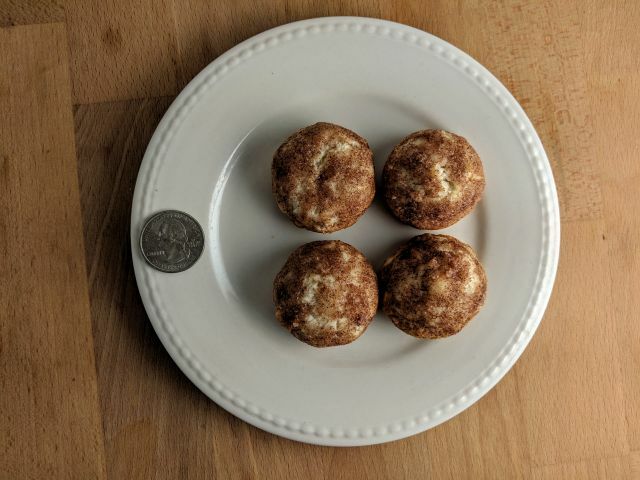 The donut bites are covered in cinnamon sugar rather than crushed Cinnamon Toast Crunch cereal so there's little to no "crunch" to them beyond the granulated sugar. 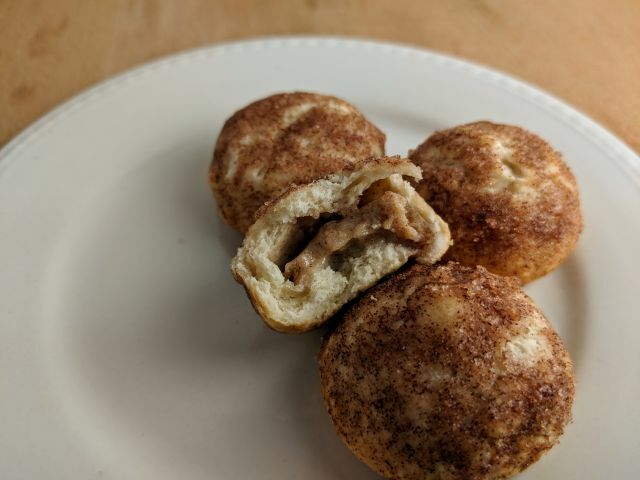 The bites themselves feel a little too dense to be donut-like and are more like your typical cinnamon roll bread. I would call them "bread bites" rather than "donut bites" but I suppose the former doesn't have quite the same cachet. Inside the bites, you'll find a mildly sweet cinnamon and cream cheese filling. For the most part they're mixed together but I got an oddball bite where it was just plain cream cheese. Overall, General Mills' Cinnamon Toast Crunch Bites were decent enough if you're hankering for a cinnamon-y, warm snack but I'm not sure I prefer it over a cinnamon roll (mini or otherwise) or actual Cinnamon Toast Crunch cereal.